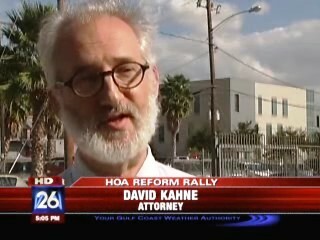 HOUSTON - Would you like to know what legal rights you have when dealing with your homeowners association? Do you think there needs to be tougher state laws addressing what HOAs can and cannot do? If you answered yes to either of those questions, there's somewhere you need to be on Saturday December 4th between 10 a.m. and noon. Texas Homeowners for HOA Reform has joined with the National Homeowners Advocate Group and Homeowners for Better Building forming the HOA Reform Coalition in an effort to get HOA reform. 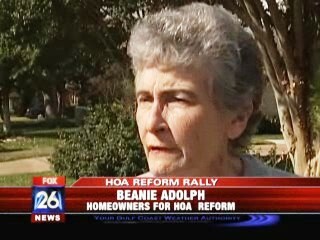 seeking help in developing a plan of action for the 2011 Texas Legislative session. The rally will be held at the Bayland Community Center, 6400 Bissonnet in Bayland Park behind the football stadium. All interested homeowners are invited, there's no charge to attend.